THE South Down Ulster Unionist Councillor Group (UUCG) have criticised Independent MLA John McCallister for his support of Sinn Fein celebrations recently held in Stormont. John McCallister has strongly refuted the claims by the UUCG and has provided a full explanation. The Ulster Unionist group in South Down consists of Councillors Glenn Barr, Elizabeth Ingram, John Hanna, Harold McKee, David Taylor, Andy Moffett, Robert Burgess, Walter Lyons and Dessie Patterson. MLA John McCallister has rejected a UUP attack after he co-sponsored an event at Stormont with Sinn Féin. In Stormont`s Long Gallery, Sinn Fein hosted an Easter Rising Commemoration which was co-sponsored by Independent MLA John McCallister. 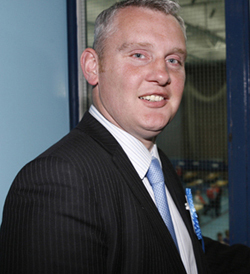 Subsequently, the South Down Ulster Unionist Councillor Group issued the following statement: “Not long ago Mr McCallister rightly criticised the SDLP for rowing in behind Sinn Féin over matters such as the naming of a children’s play-park in Newry after Raymond McCreesh, but here he now rows in behind Sinn Féin to enable them to celebrate their warped version of history. “The Ulster Unionist Councillor group were all equally surprised and deeply disappointed to learn that John McCallister co-sponsored a Sinn Fein event to commemorate the Easter rising. “It seems strange that a so-called Unionist would give their signature to enable an event to take place in Stormont featuring songs and poems celebrating rebellion and attacks on British Soldiers. Independent MLA John McCallister, former UUP deputy leader, said in response to the statement issued from UUOP HQ, that “The UUP Councillors Group is obviously unaware how events at Stormont work. Every event in Parliament Buildings is required to be sponsored by a unionist MLA and a nationalist MLA. Without this cross-community support, no event can take place. “I am proud of the very wide range of groups I personally have hosted at Stormont, including South Down UUP events. On each occasion I have required the sponsorship of a nationalist MLA to facilitate this. “The co-operation of these nationalist MLA’s have allowed me to host local Royal British Legion, UDR Associations and various award winning bands at Parliament Buildings. “I have reciprocated in sponsoring events hosted by nationalist MLA’s. Indeed, while sitting as an Ulster Unionist MLA, I sponsored events from across the community, including Sinn Fein events. I was not criticised or attacked for doing this. Indeed I know that other UUP MLAs have sponsored Sinn Fein events – do they now want to deny this or apologise for doing so? “I firmly believe that Parliament Buildings should be open to all the people of Northern Ireland. This requires unionist and nationalist MLAs to respect diversity and pluralism. The alternative is imposing a neutral environment, which keeps out all expression of political and cultural differences. “The UUP Councillors needs to think very carefully about wishing to see Stormont as a completely sterile place. If that was the case and Sinn Fein had the position of Finance Minister, then there would not be similar events held like the Jubilee party or Covenant Parade.